Luxurious and sophisticated interior. Massive levels of storage. Excellent ride quality on air suspension. Fully digital cabin is a tour de force. Most of the smart tech costs extra. Only marginally cheaper than the Audi Q7. Sluggish and indecisive eight-speed auto gearbox. Not a seven-seater. 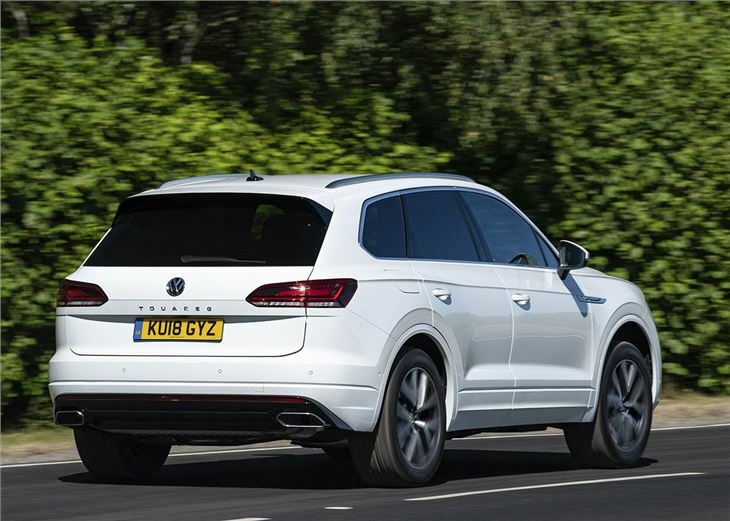 Range-topping 3.0-litre V6 produces 340PS and 450Nm, taking Touareg to 62mph in 5.9 seconds. Prices start £49,095 with deliveries expected from April. The Volkswagen Touareg might lack the prestige of the Audi Q7 and Range Rover Sport, but it does tick all of the luxo-barge boxes, while also adding cutting edge tech and limo-like space to the otherwise familiar large SUV formula. 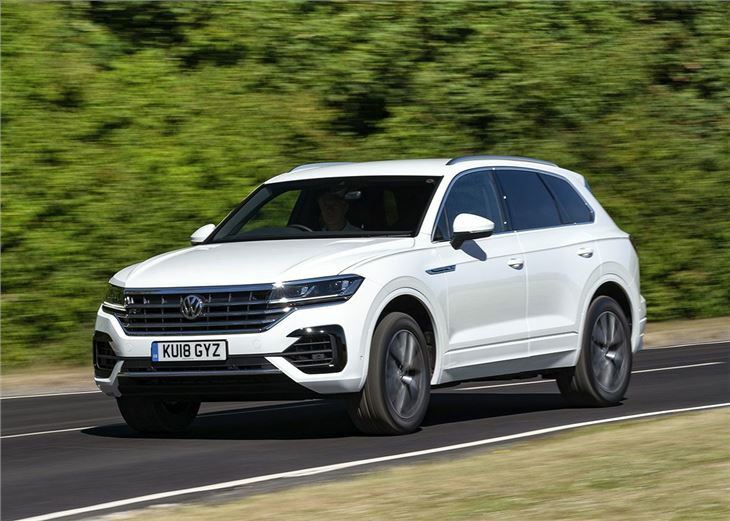 The soft ride quality and spongy handling is unlikely to set many pulses racing, but the Touareg is a comfortable and laid-back thing to while away an hour or two on the motorway. 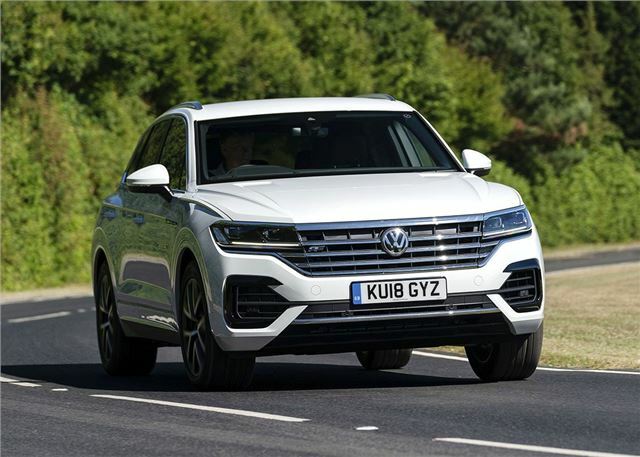 The hushed cabin, for example, does a great job of isolating passengers from the outside world while the optional all-wheel steering system gives the Touareg an impressive nimbleness at low speeds. 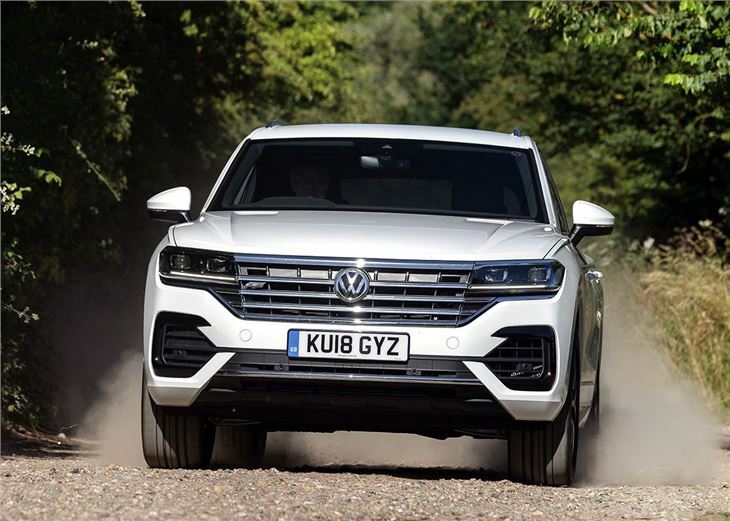 The light-footed nature of the handling is made all the more impressive by the fact that the third-generation Touareg is Volkswagen’s largest ever family car, stretching more than five metres long and two metres wide. That considerable roadprint has allowed Volkswagen to pack warehouse-like space into its large SUV. 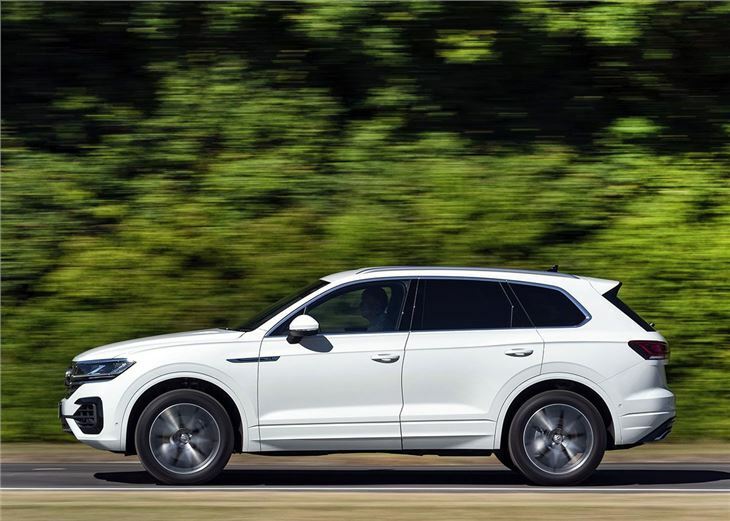 Admittedly, it might not have the seven-seat flexibility of the Q7, but the Touareg provides generous levels of head and legroom for up to for five adults. It also gets one of the largest boots in its class, with 810 litres. The Touareg's party piece is the digital cockpit, which gives the dashboard the high tech appearance of an executive airliner. High spec models get a flowing one-screen design that blends the instrument binnacle and infotainment screen into a large HD display. Not everyone will welcome the transition from physical switches and dials to touchscreens, but the system is state of the art and easy to master, with a drop down menu providing instant access to all of the ventilation, media and in-car settings. The engine line-up is limited to a single 3.0-litre V6 diesel with 231PS or 286PS. 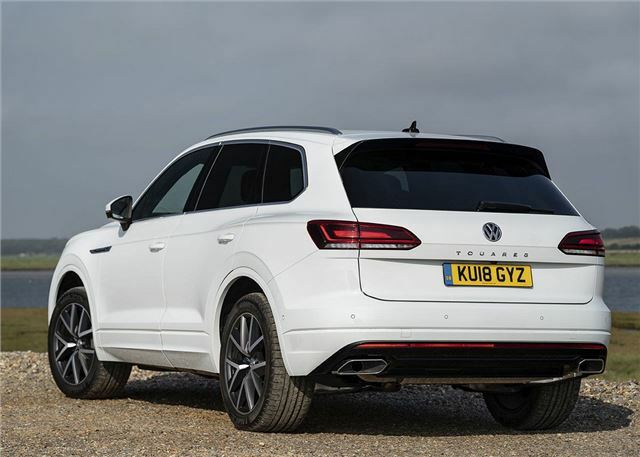 Both are linked to a slow witted and stuttering eight-speed automatic tiptronic transmission that, at times, comes mighty close to ruining the Touareg's drive. All versions are capable of towing 3.5 tonnes when hooked to a braked trailer and the ball neck of the towing bracket smartly extends and retracts from the vehicle floor at the push of a button. A full suite of off-road driving programmes are also fitted as standard, which means horsebox owners and caravaners can tackle wet or muddy fields without fretting about getting bogged down in a muddy flurry of wheel spin. The Touareg doesn't move the large SUV segment forward, but it is a significant improvement over its predecessor when it comes to handling, practicality and tech. 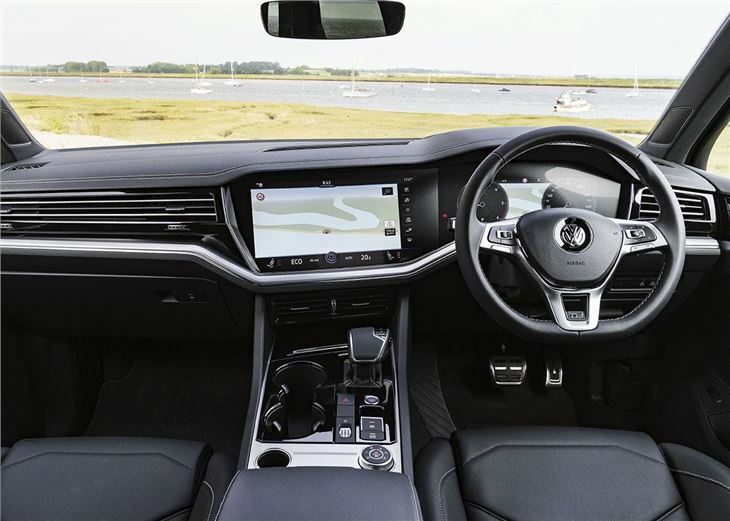 Sadly its best features - four-wheel steering and the digital dash - cost extra and that leaves this Volkswagen with an unpalatable, Audi-like price tag.